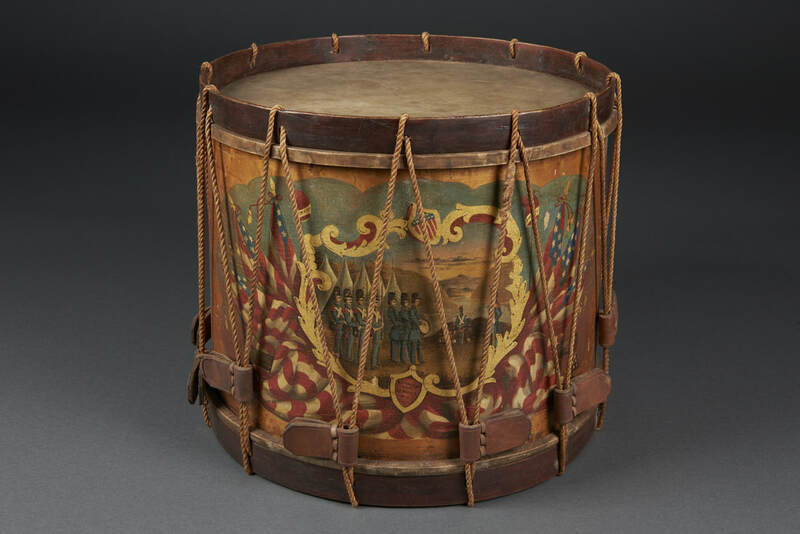 Rare American pre-Civil War parade drum, signed "W.S. Tompkins, Maker, 69 Watts St, New York, April 26th 1853." Hand painted depiction of troops at West Point standing for inspection in front of their tents, surrounded by American flags, liberty caps and cannons with stacked cannon balls. The artist, William S. Tompkins, had a shop in Yonkers, NY, and became one of the most famous Civil War presentation, parade and field drum makers.